KBSS can access the Flange Pulling equipment of Equalizer brand. This flange pulling tool is a simple, lightweight hydraulic tool used to pull together flanges prior to the application of bolts. 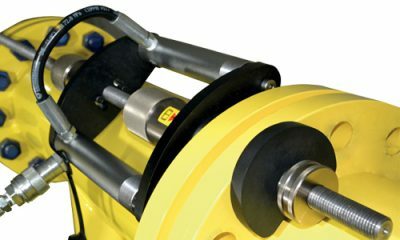 This flange pulling tool is a simple, lightweight hydraulic tool used to pull together flanges prior to the application of bolts. The flange pullers can pull flanges from a distance of 600.0mm (23.62”) down to 0.0mm (0.00”) with a force of 200kN (20T) when used as r ecommended in pairs. Any number of FC10TE t ools can be used simultaneously to provide greater pulling loads.